The Yosemite Gateway Partners host quarterly meetings in Yosemite Valley as an opportunity for region-wide networking, to receive updates from Yosemite National Park, and to address current issues of regional importance. 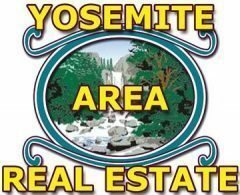 Join us for excellent networking and sharing of information with Yosemite National Park representatives, local community leaders, businesses, and organizations. Meetings are free to attend, but we ask that you please register below so we can plan accordingly. A catered lunch can also be included with your registration for $25.00 advance payment (via PayPal) or $30.00 at the door (cash or credit card). The deadline to register at the advanced payment rate is noon on Monday the week of the meeting. Registrations will still be accepted after the deadline, and those with lunch will be $30.00 at the door.